Run A/B tests for Web Notifications! We added support for web notifications in the A/B Testing workflow, making it easy to test and evaluate the effectiveness of different web notifications from the dashboard. While you could previously create web notification variants using the /experiments API, exposure in the dashboard can help you better visualize your messages and conduct more effective tests. A new chart showing direct and attributed engagement metrics for your web and app channels. 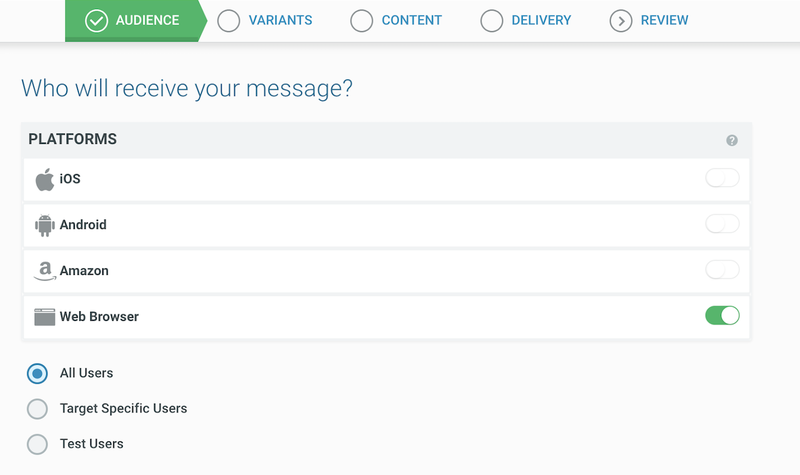 Message Details for all the variants in the test, so you can preview each message variant before diving into deeper reports for each individual variant.